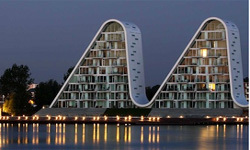 The small town of Vejle in Denmark received in 2009 a building that is really a beautiful architectural symbol. The unique shapes make this building into not only a sculptural but also an awesome work. 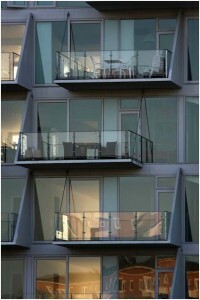 The wave form is inspired by the nature of the area where it was inserted: the sea, the bridge and the hills. Just because of these, the area of building became a wonderful view. 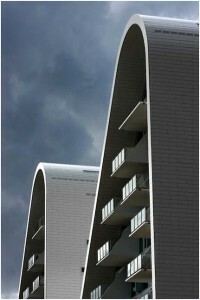 The Wave in Vejle, Denmark is a residential complex, designed by Henning Larsen Architects. All images are Courtesy of Henning Larsen Architects.